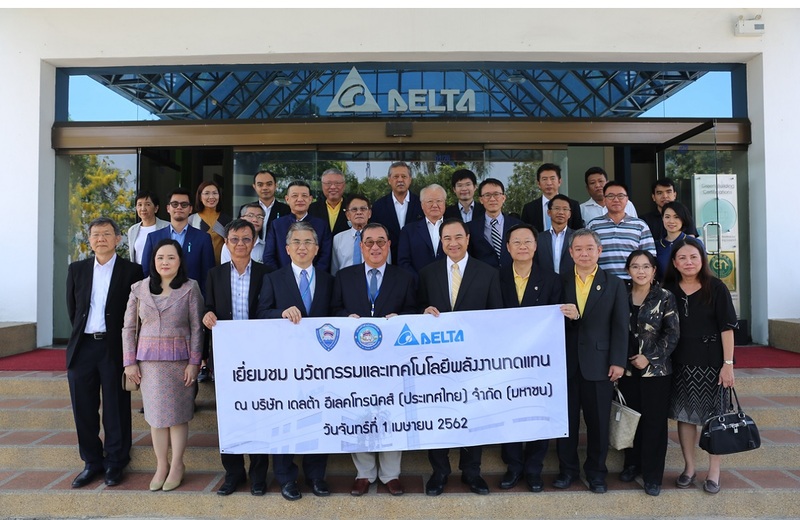 Samutprakarn, Thailand, April 1, 2019- Delta Electronics (Thailand) PCL. welcomed a 47-member delegation from the Thai Chamber of Commerce (TCC) and the Board of Trade to the Delta headquarters at Samutprakarn. Founded in 1933, the TCC aims to promote national trade and safeguard Thailand’s commercial interests. The delegation came to learn more about Delta Thailand’s operations and discover the company’s smart city solutions. Mr. Hsieh Shen-yen, Delta President, welcomed Mr. Kalin Sarasin, Chairman of TCC and the Board of Trade, and invited the delegation to explore Delta’s smart green solutions. Delta management introduced the company’s achievements in Thailand and discussed with the TCC about the many exciting opportunities to implement Delta’s smart city specific solutions including smart LED streetlights, smart building solutions and connected surveillance security systems. Delta’s smart city solutions leverage cutting-edge technology to provide society with the next level of intelligence and connectivity in key components of modern urban centers including industrial zones, energy grid, security systems, buildings, healthcare, education and water management. After the presentations, the TCC delegation toured Delta’s highly-automated production lines to discover how the company leverages its automation devices, controls and robots to improve performance and optimize costs. 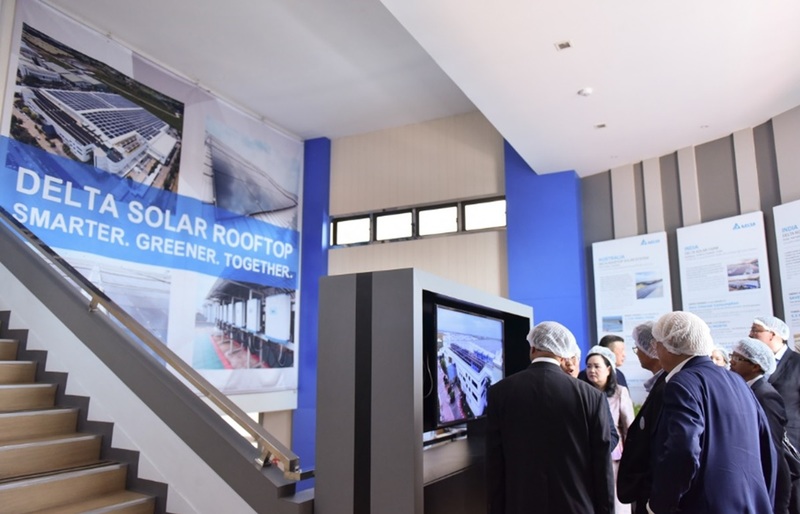 The tour also included Delta’s energy-saving solutions and solar rooftop. 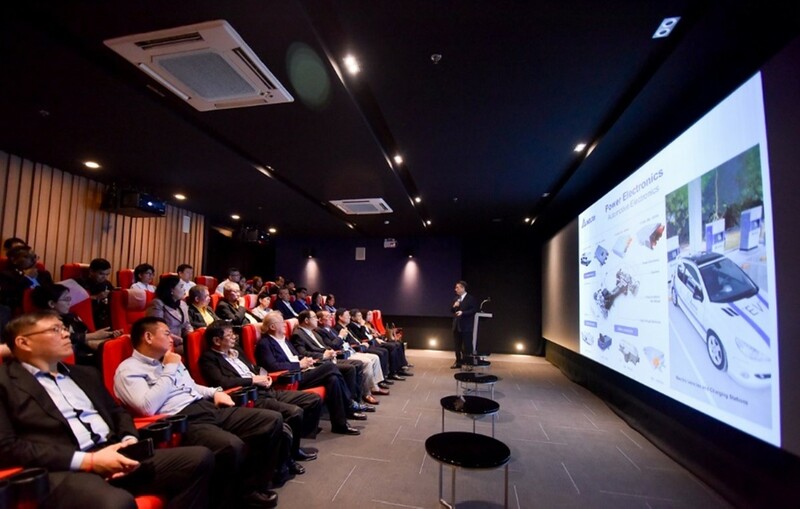 Next, Mr. Kasemson Kreuatorn, Delta’s Senior Regional Manager for Industrial Automation, gave a presentation to explain how Delta’s unique Industrial Internet of Things (IIoT) solutions combine DIACloud communications, control and field devices to best meet customer’s specific operational needs. Finally, Delta held a Q&A session to answer questions about the business and smart manufacturing. Mr. Kalin expressed his strong interest in Delta’s broad range of smart city solutions that can be implemented in Thailand. 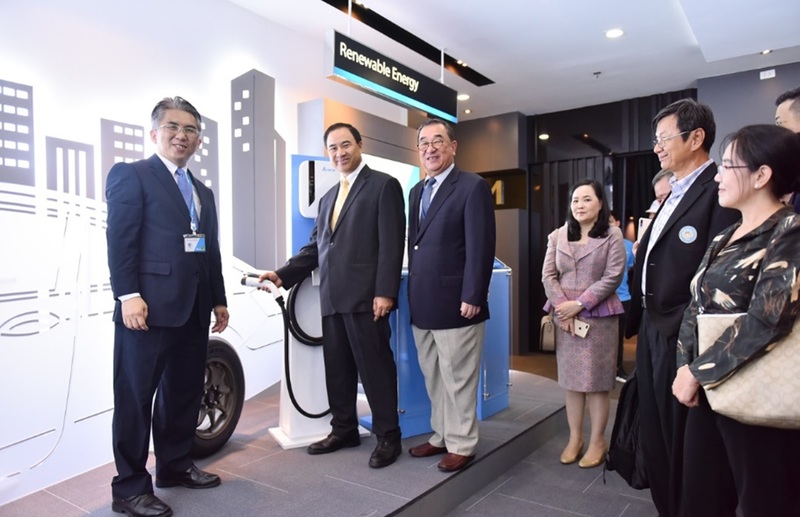 He also stressed the importance of Industry 4.0 development and called for further discussion on automation and renewable energy solutions to boost competitiveness of Thai businesses and support smart city transition in the country. 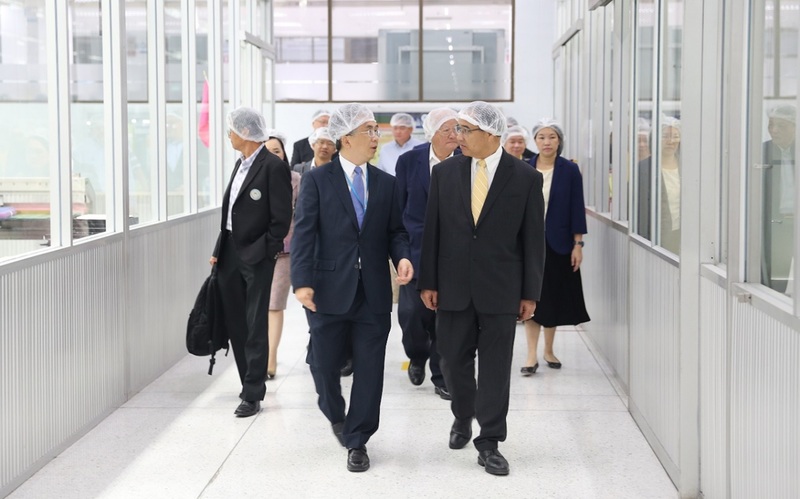 As a top electronics company in Thailand, Delta drives innovation to spur the country’s industrial development. Delta’s commits to adding value for stakeholders and delivering on its brand promise: Smarter. Greener. Together.